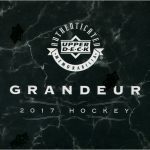 The Grandeur Hockey Coin collection features portraits of 20 different players — 18 current NHL stars and two retired legends — and is sold both on Upper Deck’s E-Pack platform and by the Canadian Imperial Bank of Commerce (CIBC), who partnered with Upper Deck in the development of the Grandeur Coin Collection. 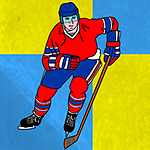 Coins purchased on E-Pack can be traded with other E-Pack users for coins or cards on the platform. 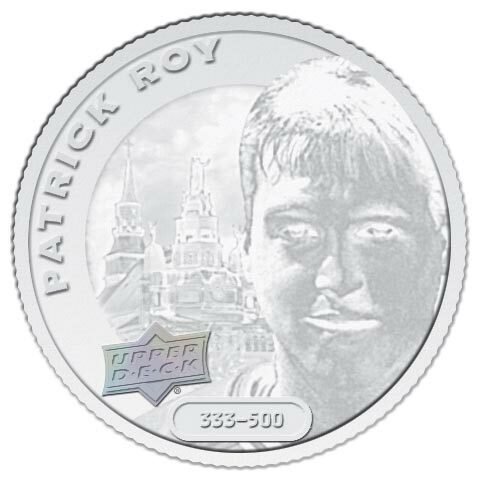 Like trading cards, these coins are sold “blind-bagged,” meaning that consumers won’t know which coin they get until they open the packaging. A pack with one coin costs $100, while a collector’s box with four coins costs $499 and guarantees one of the three rarer coin types. Also included is a display that holds 20 coins. 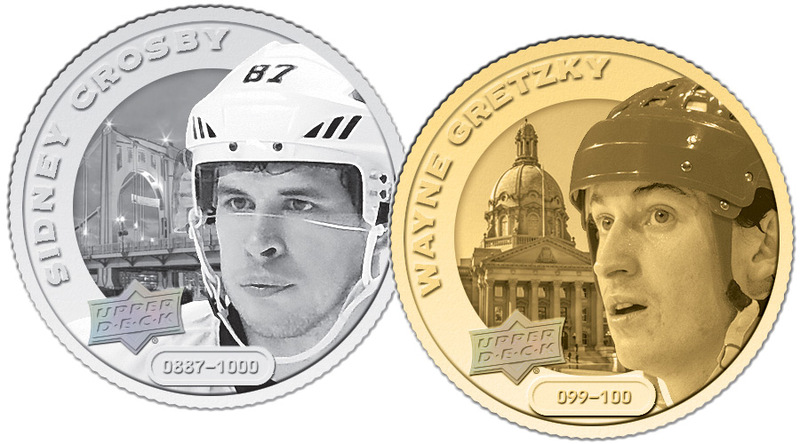 Finally, there are also a super-rare, 24-karat gold versions of the coins. Gold – Numbered to 100 copies. Silver coins weigh 1 oz. each, while the gold coins weigh 1/4 oz. 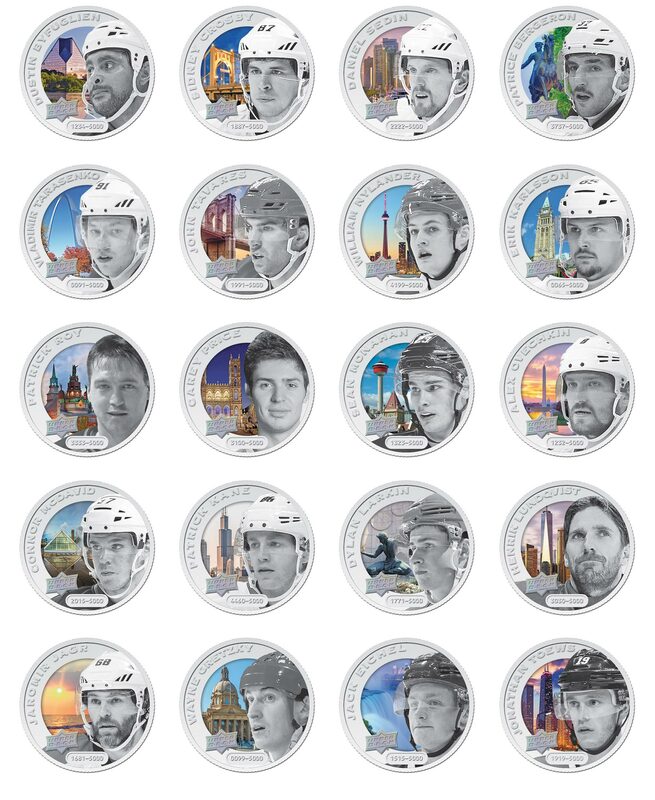 Note that team names aren’t listed because the Grandeur Hockey Coin Collection, while licensed by the NHL Players Association, is not involved with the NHL in any way. 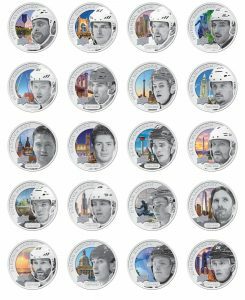 Instead of a team logo, the coins use an image of a landmark from the city that the player plays in, such as the World Trade Center on Henrik Lundqvist’s coin or Niagara Falls on Jack Eichel’s coin. 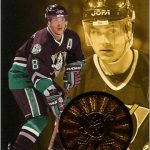 Grandeur Hockey coins have a holographic Upper Deck anti-counterfeit logo embedded in them — a practice the company has done since the launch of their inaugural baseball card set in 1989. 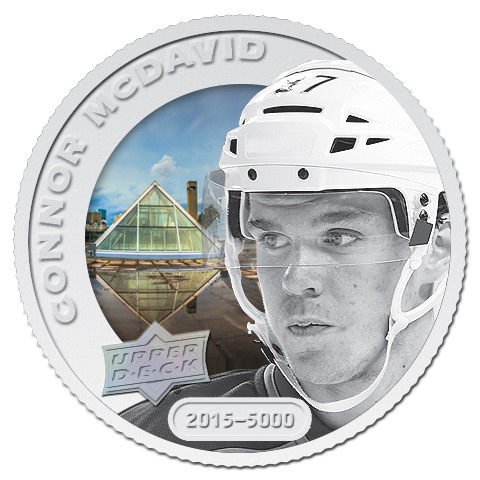 The coins are also serial-numbered on the front. A 1/4oz of gold is currently going for $313, and an oz of silver is going for $19. 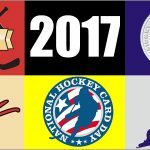 Soooo, there’s the profit being made by Upper Deck. These are NOT coins. Coins are minted by countries. At best, these are medallions, and privately produced medallions at that, no different than the junk produced by The Franklin Mint, all through the ’70s and ’80s. Value? Whatever the melt value is of the metal in question. Collectible? Sure, but definitely not a great investment. These coins are actually legal tender in the Cook Islands, FWIW. You might want to read up on things before incorrectly commenting on what “you believe to be true”.. Pay particular to the Upper deck site, where it tells you they are legal tender in the Cook Islands. This is public information readily available. The Cook Islands? It’s amazing how some countries will prostitute their mints to produce junk for private interests. Tell me, before these came out, did you ever even hear of The Cook Islands? I doubt it. 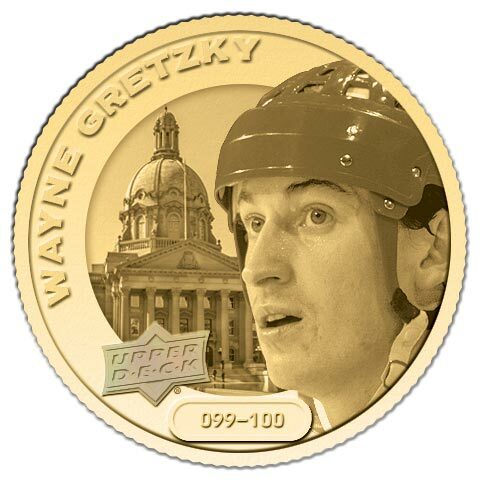 Still, that is interesting that they put some effort so it is an official coin of a country. 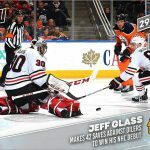 Weird in some way, but interesting nonetheless! 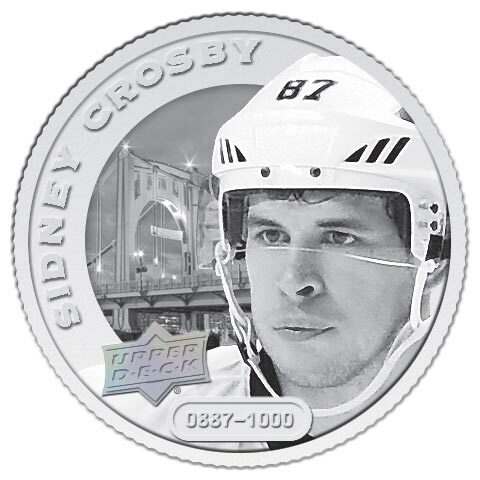 I would personally be quite interested in a Crosby set for my Crosby collection and maybe some special serial number like the 1st ones of each.